Upon moving to Olympia, WA, in 2003 and starting up the radio program Cross Cultural Poetics, my first impression was that Seattle was a suburb of Cairo. That was because two of the first people I met in the area were Maged Zaher and Mohammed Metwalli, both émigré poets from Egypt's capital. They immediately made me feel part of a larger conversation about poetry that was happening amongst themselves and many other of Egypt's writers the next block over, in Egypt. How to resist the death grip and the officialdom of the Mubarak regime without opening the door to fundamentalist attitudes towards the poetic word that might suppress it? To what extent might the prose poem, and a flattening of the lyric, help to undermine a certain hyperbole perceived as problematic for the Arabic language? 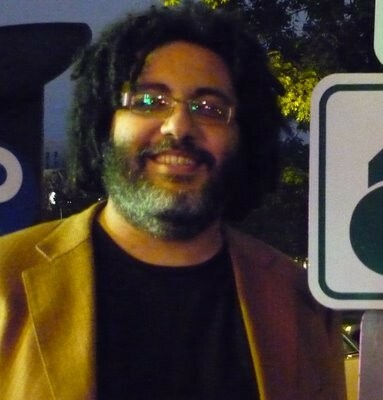 What is the most productive way to lay out a lineage of modern Egyptian poetry? I first started to look at Erica Baum's art when she did her Card Catalogue series: close-up photographs of old library card catalogues that showed several of the card tabs imprinted or typewritten (and sometimes, for really old cards, handwritten) to indicate subject headings, categories, etc. Several of these photos show the catalogue drawer labels. 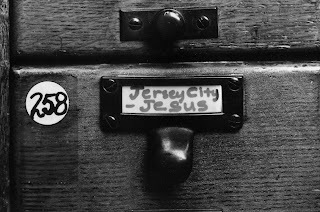 My favorite of these is "Jersey City—Jesus." Anyway, that was 1997. Erica has done several interesting projects since then, all exploring the visual qualities of language as photographic subjects; words in the visual ambience, just there for the looking. 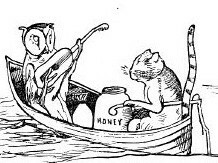 Ubuweb has a pretty good collection of PDFs marking the progress of this art. Have a look. 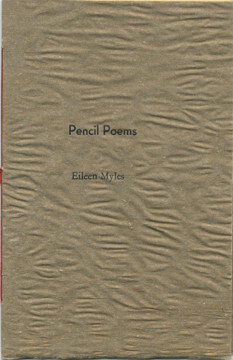 In 2011, Jacket2 ran photographs from Dog Ear.